So I want to talk about something that has always made me concious and has just made me hate my skin so much over the years.. All throughout my teenage years and up until now I have always had oily skin, I don't wear foundation or tinted moisturiser so that isn't a contributing factor, although I did use the Simple, moisturising gel on the mornings and that helped slightly, but just not enough. I have searched for products that would help, but a lot of the good ones are expensive and I could not justify spending huge amounts on skin products, however now (because of student loans) I feel like it is time to really do something about my skin and spend as much as I need to do that. 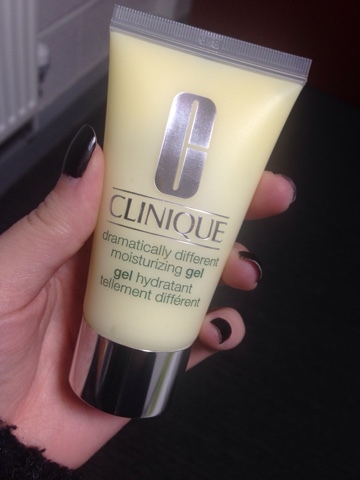 I recently bought the Clinique Dramatically Different Moisturising Gel (50ml). This product is OIL-FREE, which if you have oily skin like me is something that you will need to help your skin. This product also helps to control the oils and excess oil that you produce. Now I have had this product for a week now, and I can honestly say it has saved my life, although sometimes, my skin will get the tiniest bit oily(which I'm guessing is normal otherwise to not dry out the skin completely), it has made a huge difference. For example, before this product, throughout the day I'd touch my forehead or cheeks and my hands will be oily and horrible from the excess oil that is on my skin. I would sometimes have to blot my face or wet my face just to get rid of the oils. However now when I do this, there isn't so much oil getting picked up. I was really scared that this product wouldn't work, but I am very impressed. I would super recommend this if you have combination oily or oily skin. 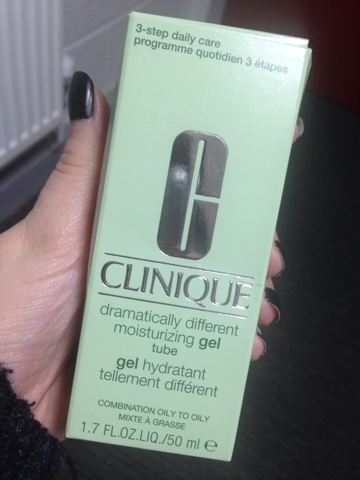 When applying this product, I can feel it being absorbed into my skin and feel it drying out my skin, however it doesn't completely dry out the skin, it just dries out the excess oil, thank goodness! Like I said, I really recommend this product because it has made a big impact on my skin! I know it is a lot of money, but you don't even need to apply huge amounts to your face, little dots to each section of the face is literally enough, so I think it's safe to say it will last a while and definitely worth the money! If you use this product, what are your thoughts? Does it work for you or not? 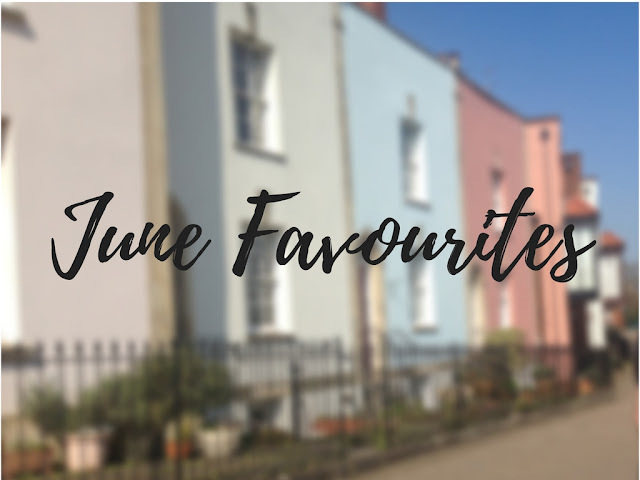 Thank you so much for reading my blog and posts, I hope this post has helped figure out what products to use if you have oily skin!